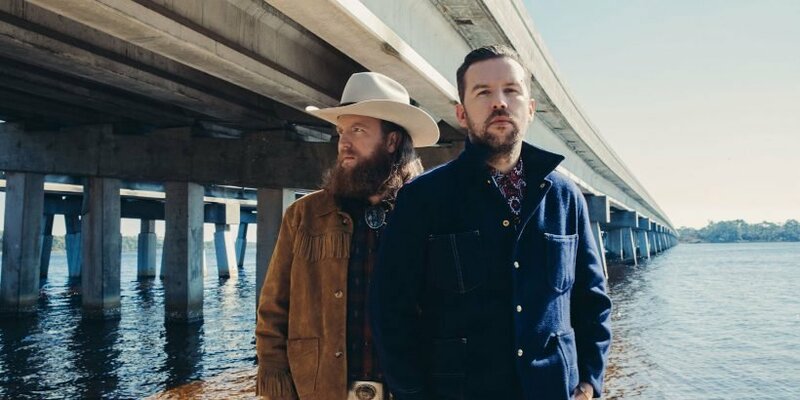 Brothers Osborne heads into the 61st Grammy Awards on Sunday with three previous Grammy nominations, two current Grammy nominations and one groundbreaking tour that continues to sell out in venues across the country. In other words, life is very good right now for John, 36, and T.J. Osborne, 34. The country music duo, who saw their career officially take off via their 2015 hit single “Stay a Little Longer,” find themselves firmly cementing themselves as one of the genre’s brightest and most talented stars. And while awards and accolades continue to be showered on them by the music industry as a whole, the two guys from Maryland seem to care more about how their fans see them. And they see them as superstars. PEOPLE recently spent some time with John Osborne talking about awards and touring and sold-out shows, and the real reason why they think 2019 just might be the ultimate tipping point of their career. So, we hear the headlining world tour has been insane so far in terms of audience reaction? We have been touring for years, inching her way up the ladder. Our shows have been getting crazier in terms of the crowd response. It’s been over the top lately. Every show is now starting to feel like that. They sing every note every night. I feel like we are at that tipping point in terms of our audience. Since we started touring this year, it just feels like something has changed. It feels different. We have found our people and our people are finding us. I mean, there were always shows that we had a good response, but there were also shows that we worked up to one singular moment when we would know we had the crowd in our hands. Now, we have crowds that are hollering out songs from our EP, you know? It does. It’s what we have been working towards. It was all about repetition in terms of getting in front of our people. You gotta get out there in front of your people and lay that groundwork. Your band really plays a role in that feeling that fans get at your shows, would you say? Oh yeah, we are a true country band. I really think it’s what makes us stand out. When people come to our show, they are here to see the whole band. We are a unit. We have done thousands of shows together, and our audience is coming to see a band. No one in the back is obscured. It’s the way we do it. We always have. Once again you are up for multiple Grammys this year — one for best country album for Port Saint Joe and one for best country duo/group performance for “Shoot Me Straight.” Does it feel different this time around? There is nothing like a recognition at the Grammys. It takes it to a whole new level. You watch the Grammys for your whole life. It’s humbling and inspiring just to be there. Plus, just being a part of that musician/artist community can put the wind in your sails again. When you have inched your way up for so long, it’s like a career culmination of thousands of micro-successes. You also have to be so inspired by your fellow category nominees, right? I’ll say it right here — Kacey Musgraves is going to take country album. It’s going to her. She is one of our best friends. She has built a huge mountain in terms of her career. Kacey is one of the most talented songwriters that I have ever met. She is strong-minded and fearless and is always wanting to take risks in her career. Every nominee in the album category is incredible. It’s an incredible validation for every artist on that list. They also are all incredibly unique. They are all very inherently themselves and authentic. Plus, they are our friends. We all support one another. And God, we have known (Chris) Stapleton for years. We have always been inspired by him. His music consistently blows our mind. That list also makes you proud to come from the country genre, you know? Oh yeah, you hear a lot of people get down about country music. But I feel like with this list, well, people who don’t like country music still like the people on this list. Let’s be honest – there are a lot of bad artists in every genre. This is a bunch of really good artists. We’ve known Kacey (Musgraves) and Maren (Morris) for a long time, since the days of the bars and smoking cigarettes and drinking cheap beer. You have to just be thrilled for the recognition for the body of work that is Port Saint Joe, right? We took a chance with Port St. Joe. We didn’t think about statistics or numbers or charts. We did it in a way that is very inherently us. It felt very like a concept record from the very beginning stemming from that era of writing and recording. You are now a five-time Grammy nominee — that has to mean good seats, right? (Laughs.) Last year we performed so we were down on the floor. There is no way that you can’t be super starstruck. I mean, there was Bruno Mars. A total triple threat right there in front of us. He can do anything. He’s better than anyone. It’s just a room filled with some wildly talented people. It’s cool that we get to sit down in the cool seats.